Someone told me I should check out the Reelect Pam Mason Facebook page because our dear Presiding Commissioner was grumpy about “negative” ads from the Jerry Nolte campaign. You see this was Ms. Mason’s general opponent way back in 2010. This was used in a TV ad. It was an unfair attack. 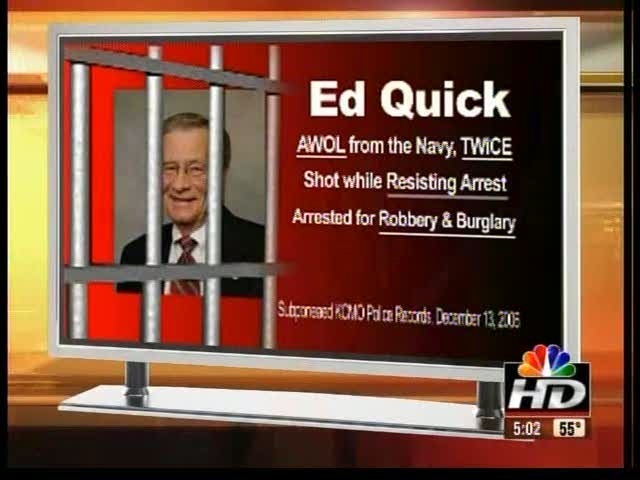 I don’t agree with Ed Quick’s politics, but I’ll defend him on this one. This was a youthful indiscretion (I can’t remember exactly, but it was something like 25 years ago or more) and it had nothing to do with the Ed Quick of 2010. You might call it negative campaigning. 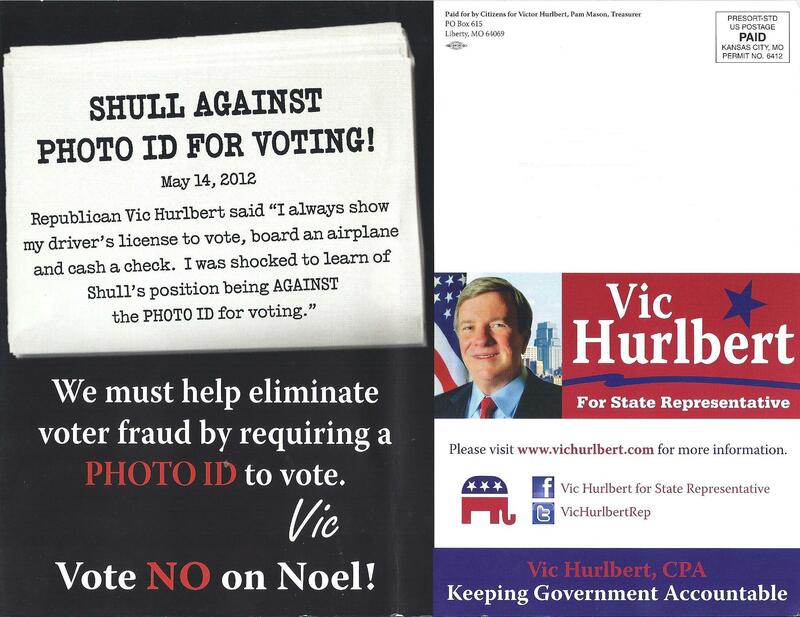 Oh, then there is this one from Ms. Mason’s current husband, the mighty “Amorous” Vic “Alan” Hurlbert‘s State Representative run against Noel Shull in 2012. That’s like EONS ago. Right? You want to talk about negative! Generally speaking, I don’t know about you, but when you use a provable lie against your opponent, I think, just maybe….well, OK, probably…or…almost certainly you could call this negative campaigning. *Just ignore that dwindling county reserve fund. Oh, one more thing, it’s about the whole grammar thing. Apparently, grammar doesn’t apply on Facebook posts, just campaign mailers. Shall we review, class? Sad is an adjective. This is not a complete thought, and there is no implied subject in this situation. So, without further ado, the correct Facebook post if the Mason campaign would like to update it. In a post written by Dave Helling entitled “Old MD survey errs in Missouri House Race“, this morning the KC Star’s Midwest Democracy Project issued a statement regarding the incorrect posting of survey results for state representative candidate Noel Shull regarding the issue of voter photo identification. Candidate Vic Hurlbert has been spreading inaccuracies about Mr. Shull’s position on the issue. 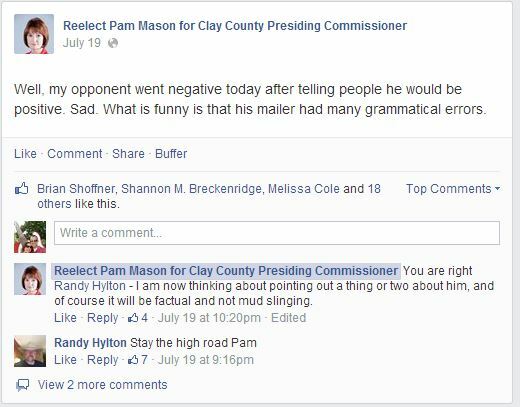 He has even gone as far as to run a TV ad with his wife, current Clay County Commissioner Pam Mason, accusing Mr. Shull of being against photo voter ID. In the GOP primary for Missouri’s 16th House seat, an apparent computer error has tripped up candidate Noel Shull. 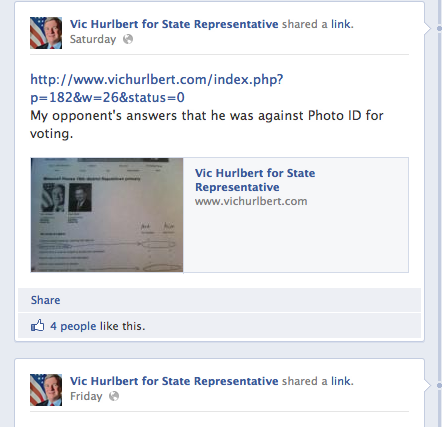 Opponent Vic Hurlberthas posted a picture of an old Midwest Democracy survey in which Shull appears to say he opposes photo ID for voting. The survey — which is based on old questions and has not been available for some time — appears to have mistakenly posted an inaccurate answer. We regret the computer error. 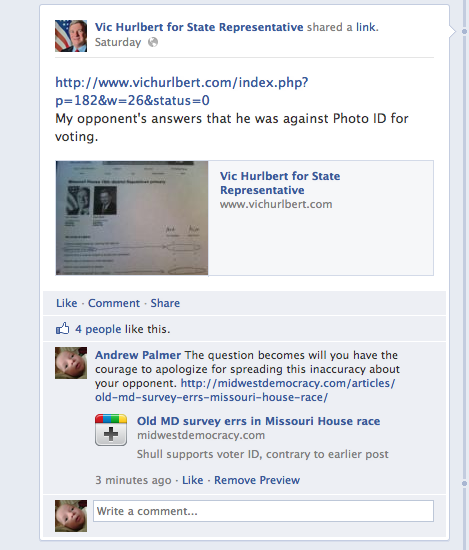 Shull supports photo ID in Missouri. I decided to post on Vic’s Facebook page around noon to ask him if he would apologize for his incorrect attacks. True to form, instead of own up to a mistake and tell someone the truth Mr. Hurlbert simply deleted my comment and my post. Truth has no agenda, but Vic Hurlbert sure does. Screen shot taken at 2:03 PM.